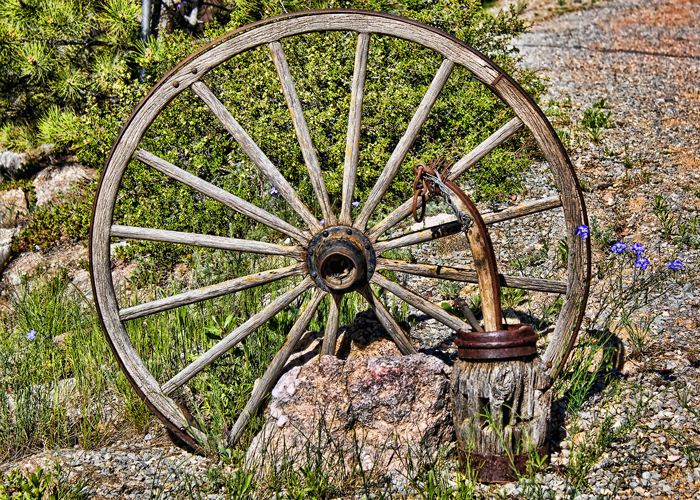 I love a good, rustic, texture-y wagon wheel! And I love the asymetry of the busted axle. Tammy, is it me or are you utilizing Topaz a bunch lately? I like the look! Love the processing and composition. What a beautiful composition this is Tammy, and those little purple flowers add so much to an already wonderful photograph. Just an artwork done out of “nothing”. Wonderful! Beautiful textures–plus the subtle pop of purple. I’m with Val and Mike!! Super duper shot and theme match up!